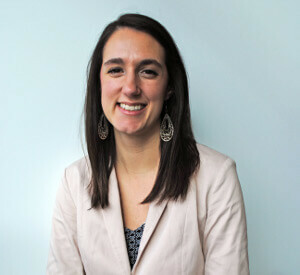 Sarah Davelaar is passionate about telling the stories of people and organizations. Sarah currently serves as Digital Health Content Strategist at The Signal Center for Health Innovation at the University of Iowa Health Ventures. At her core, Sarah is a team player and critical thinker. Sarah is currently pursuing an MBA from the University of South Dakota and earned a BA in Communication/Advertising from Waynesburg University. As a Pittsburgh native and an Iowa (City) captive, she’ll cheer for any team wearing black and gold. When not crafting sentences, she can be found on a soccer field, biking to a brewery, or experimenting in the kitchen.